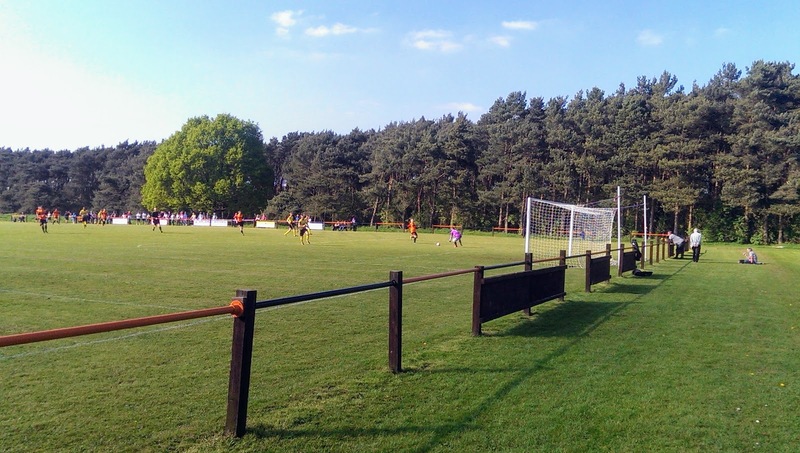 This latest Groundhop began with a drive down to Houghton, to meet up with team KatLee for the 7am departure from Katie’s house. 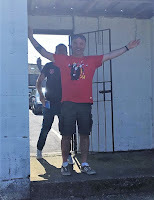 We then stopped off in Boston Spa to pick up Facebook legend John McClure. 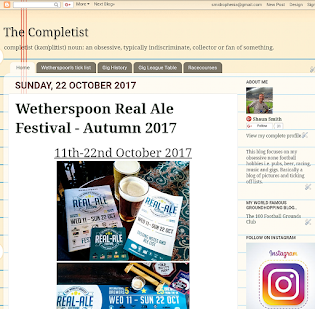 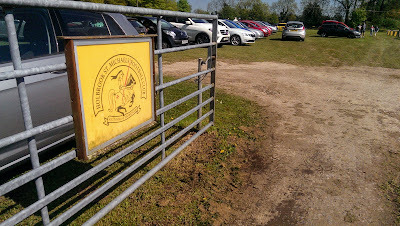 Katie made good time to get us in Derbyshire for a ‘Spoons breakfast in Alfreton before the first match of the day in Holbrook. 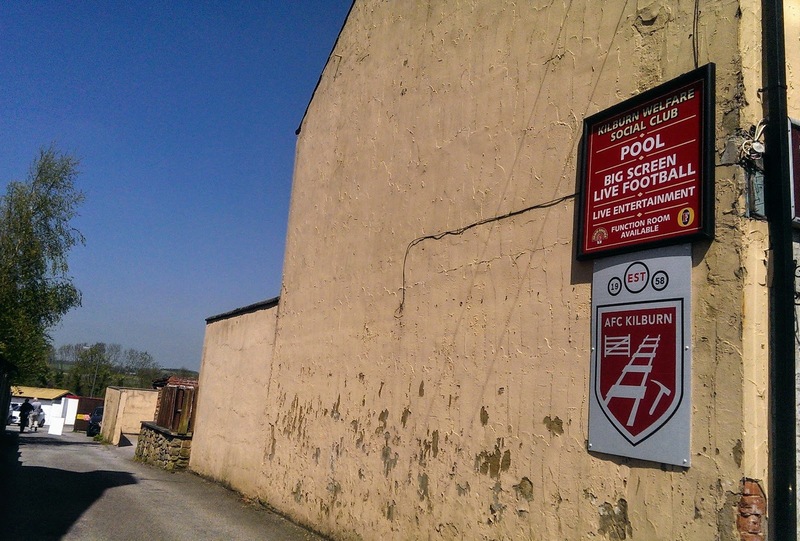 The club came to being in 1932 when the Reverend Sides formed a team named after the village church of Saint Michael, to play in the Belper Sunday School League. 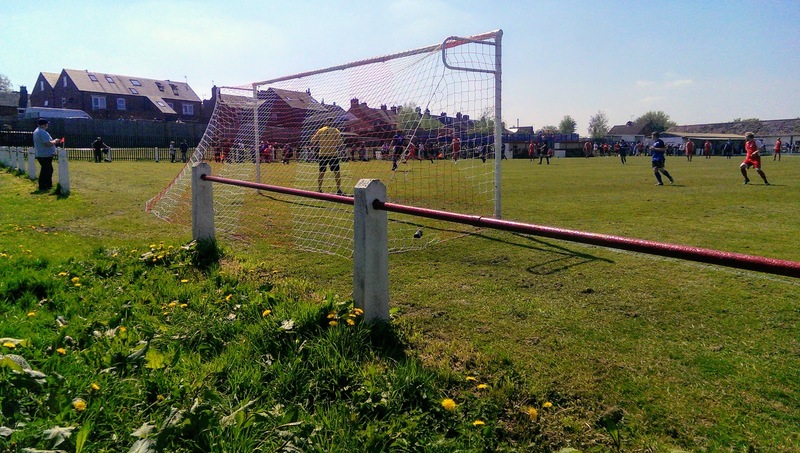 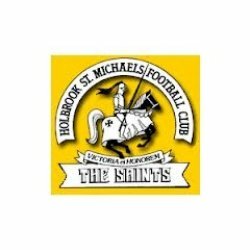 Holbrook St Michaels progressed through the local leagues, plying their trade in the Belper Amateur League, Derbyshire Welfare League, Derby Senior league, Central Alliance, Midland Regional Alliance, before entering the CML in 2012. 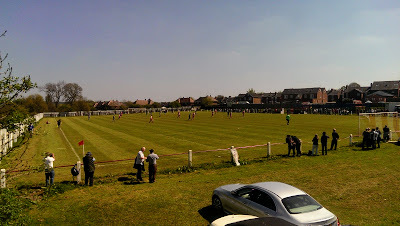 The Derbyshire village of Holbrook is found at the southern end of the Pennines, five miles north of Derby, with a population of about 1,500. Holbrook Park is on the edge of the village surrounded by farmland and has been the club’s home since 1936. 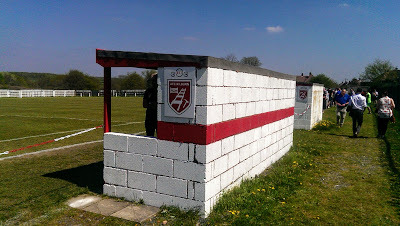 The ground is fully railed off with the dugouts on one side and seating provided by a few brick dugout type shelters and a scattering of prefab seats. The changing rooms and club house are in the bottom corner behind the goal. 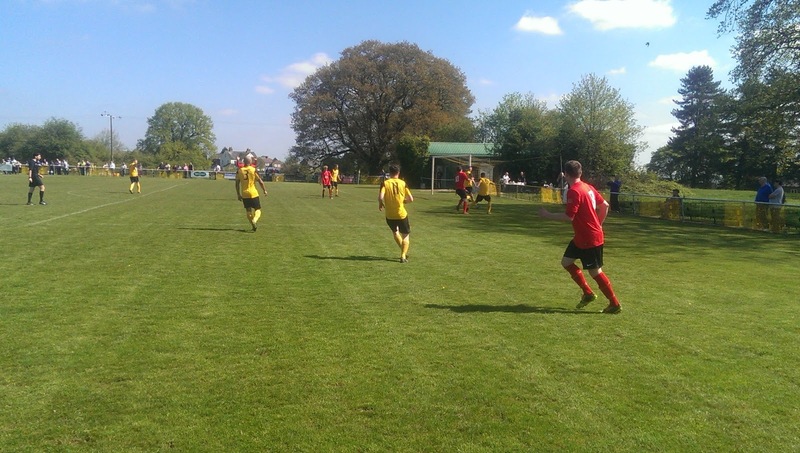 After a slow start, the game finally got going with Chris Saunders giving the hosts the lead in the 19th minute, before Joe Brumby headed home from close range to double their advantage. 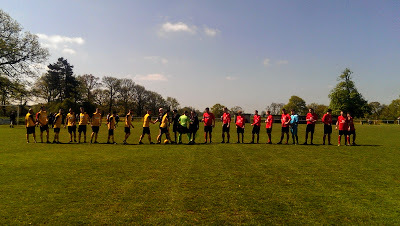 It should have been 3-0 before the break, but a spot kick from Dom Hayes was well saved, however they made amends from the restart with Marshall Collingwood turning a right wing cross into his own net. 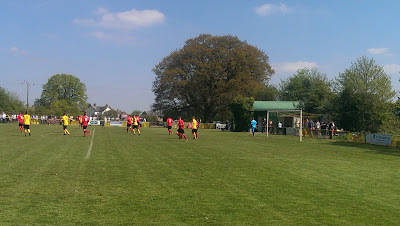 Harry Gill pulled a goal back for Linby in the 50th minute, before a well crafted goal by Saunders and a good run and cut inside by Paul Fisher made it 5-1 with ten minutes left. An injury time consolation goal by Ryan Butler, rounded off a good start of the CML ‘hop. 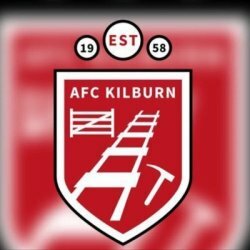 AFC Kilburn are newcomers to the CML this season after progressing from the Midlands Regional Alliance League. Kilburn FC formed in 1958 and went on to become founder members of the Central Midlands League. 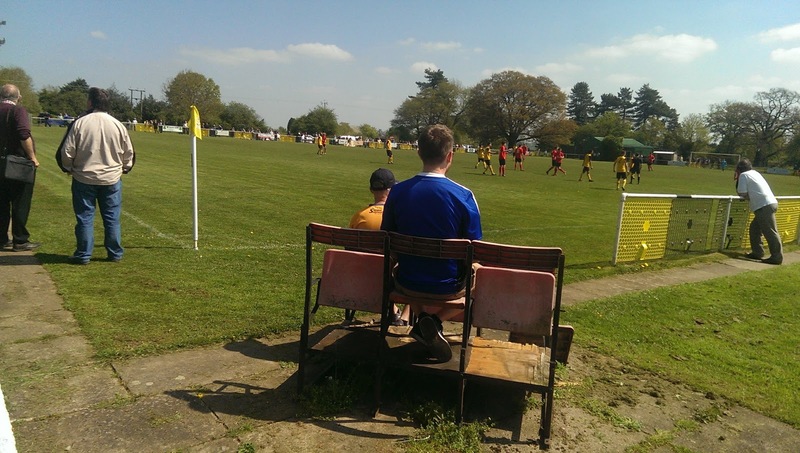 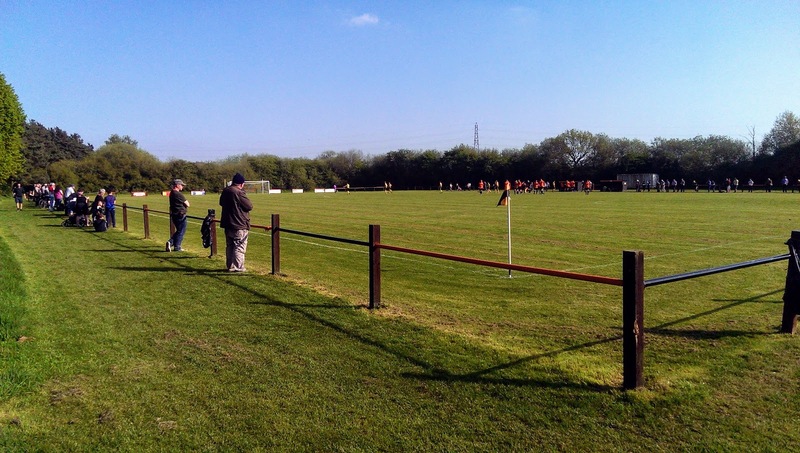 The club folded in the mid-nineties, before football returned to Kilburn when homeless neighbours Ambergate FC agreed a deal to play at the ground, becoming Ambergate Football Club Kilburn. Kilburn is a village and civil parish which forms part of the borough of Amber Valley. 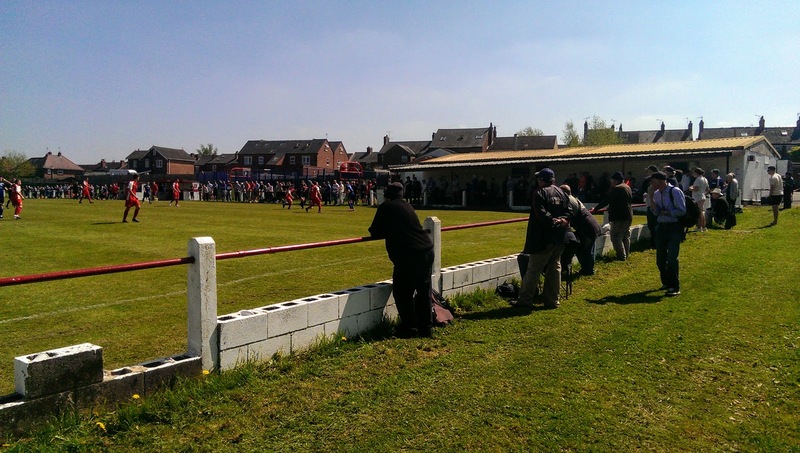 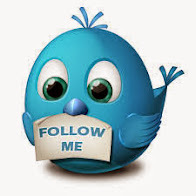 Around 100 years ago it was known as Kilbourne and has a population of around 3,600. 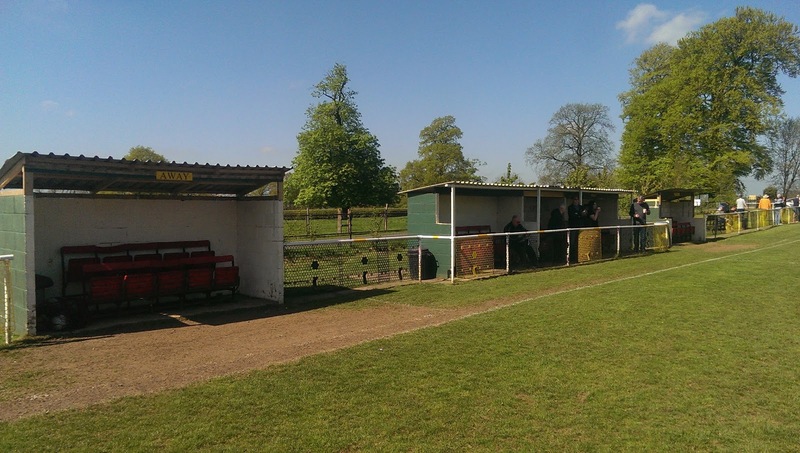 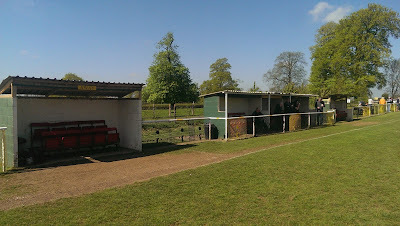 The Sports Pavilion at Kilburn Social Club has standing room on three sides with the team dugouts on one side. Cover is provided by the overhanging roof from the changing rooms and refreshment bar building. 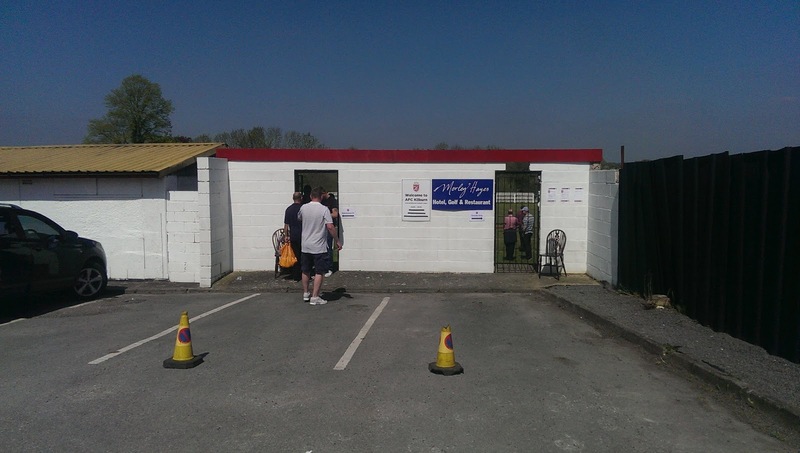 The social club is outside the turnstile entrance on the other side of the car park. 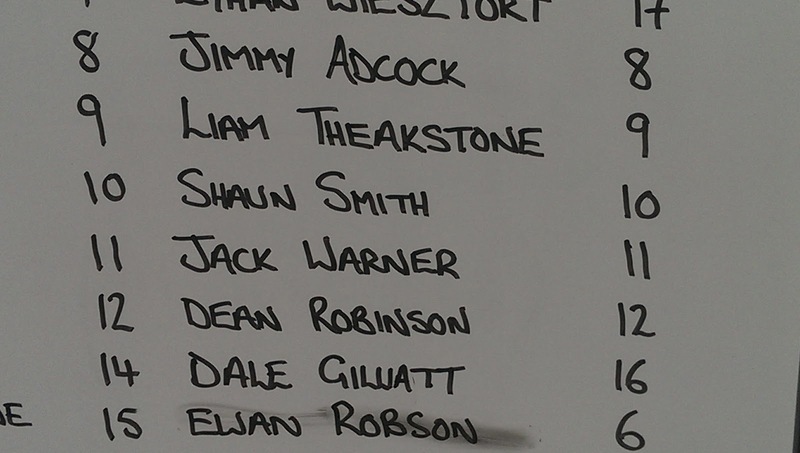 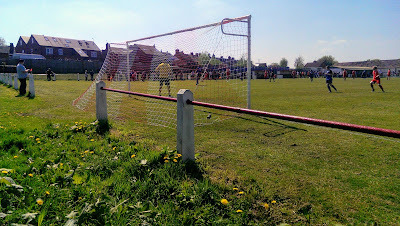 A guest appearance for Sherwood Colliery? 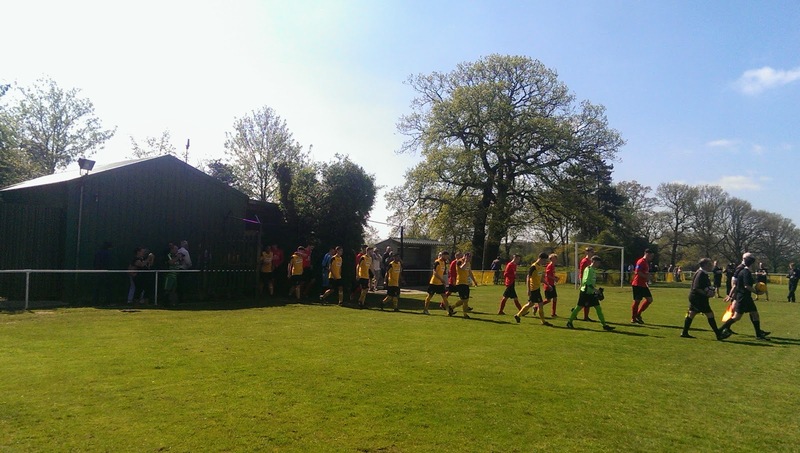 League leaders Sherwood Colliery recorded a convincing win in their pursuit of the title. 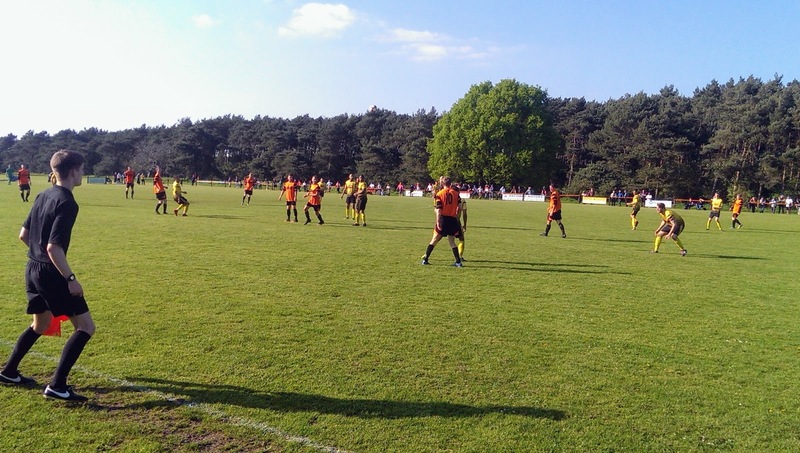 Ethan Wiesztorf gave them a first half lead before they finally made it 2-0 in the 54th minute, with a fine run and sweet right foot shot by Steve Sowter. 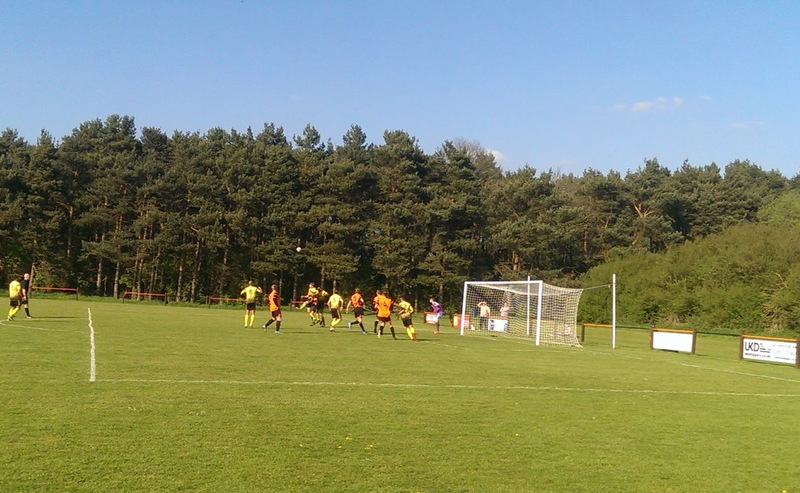 A long clearance from the Sherwood ‘keeper found Liam Beardsley who grabbed the third, before Gav McCready grabbed a late consolation for the home team. 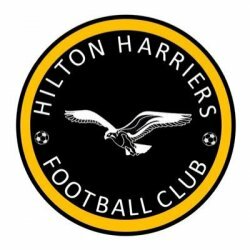 Hilton Harriers was established in 1992 as a juniors team, developing more teams and becoming the first club in Derbyshire to attain the FA Charter Standard mark in 2002. 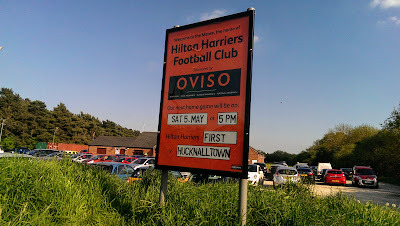 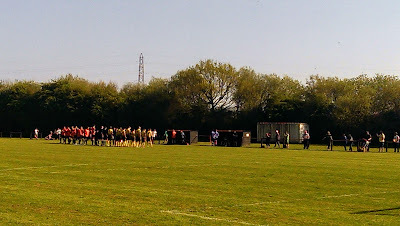 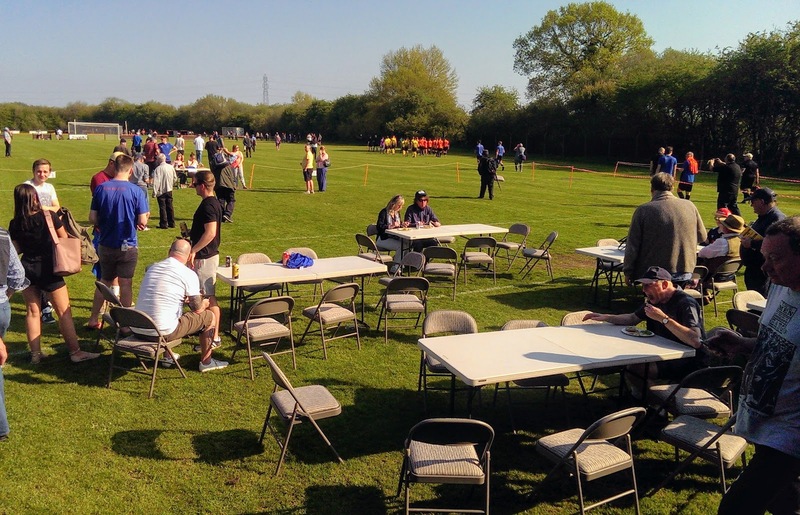 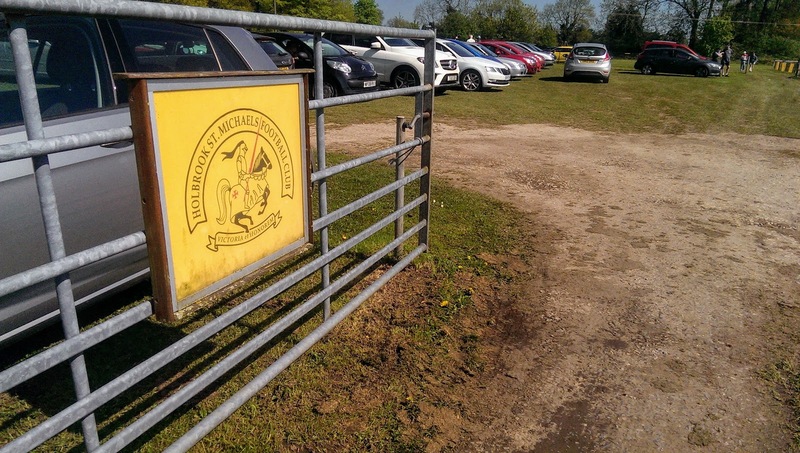 Hilton Harriers originally played on pitches behind the village hall, then in 2008, after 6 years of fundraising moved to their new home at The Mease Pavilion. 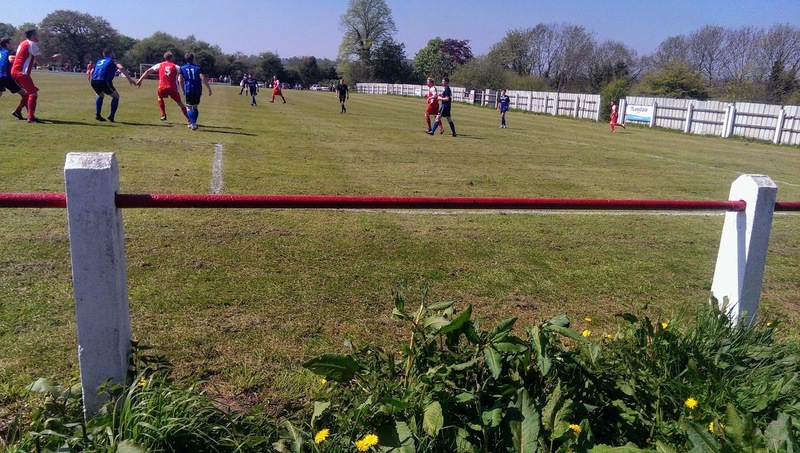 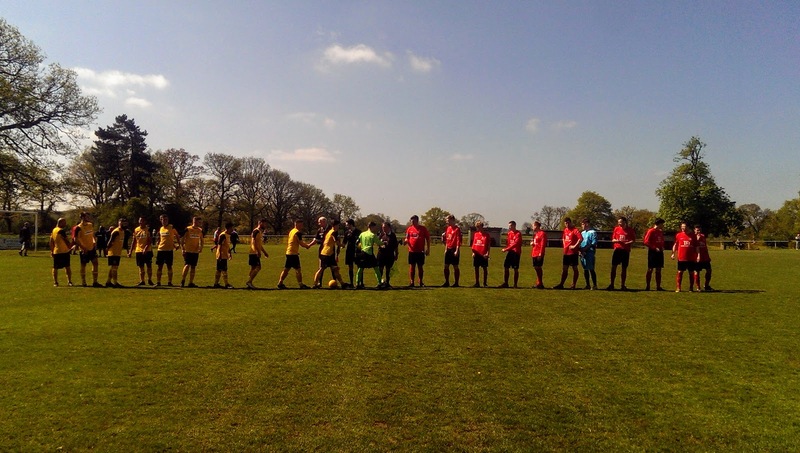 In 2008-09 a senior side was added to the existing eleven junior teams, starting off in the Midlands Regional Alliance Division 2, before progressing in the Staffordshire County Senior League and joining the Central Midland League at the start of this season. 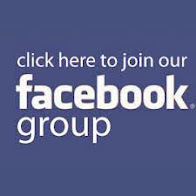 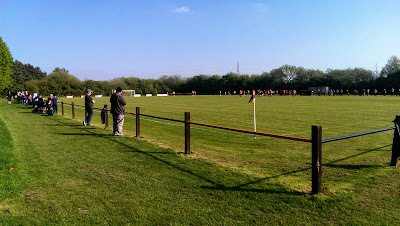 The club achieved Community Club status in 2011 and have a senior reserve team in Division Two of the Staffordshire CS League. 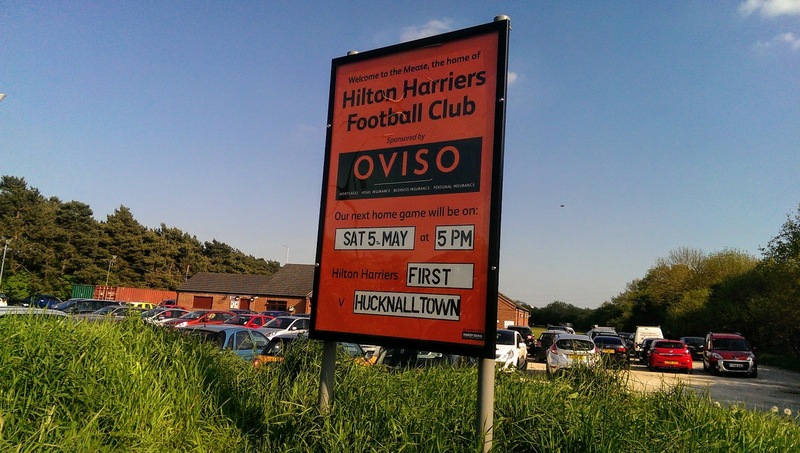 Hilton is a village and civil parish in the South Derbyshire district with a population of almost 8,000. 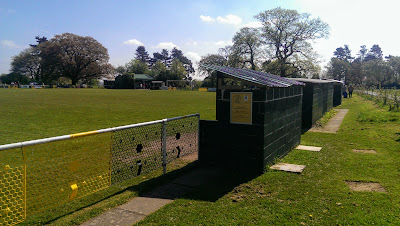 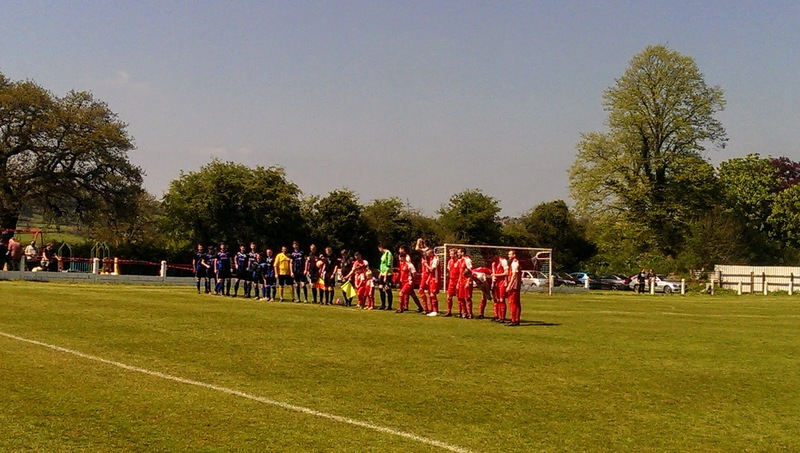 The Mease Pavilion provides the base for two football pitches, with the furthest pitch the Harriers home, which is neatly put together with fencing and dugouts in the team colours. 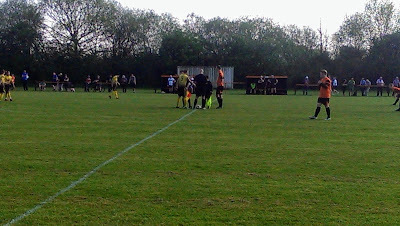 Hilton Harriers game with third place Hucknall Town was settled early on when defender Ben Jones tried in vain to cut out a Karl Chadfield effort, the ball agonisingly crossing the line. Hucknall had plenty of decent chances throughout but lacked composure in front of goal, with the hosts looking more comfortable as the match progressed to hold on to that slender lead. 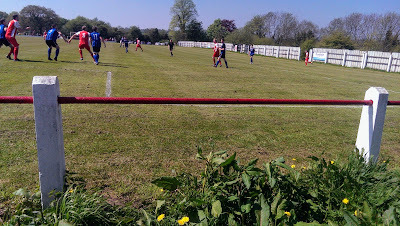 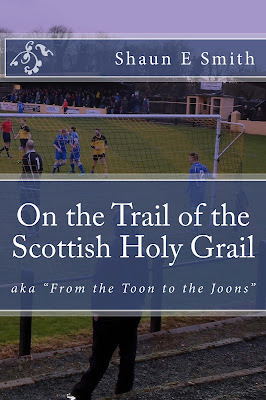 An excellent day of Groundhopping which was made more enjoyable by the glorious weather. My suntan included a burned nappa and the back of my neck was as red as the t-shirt I was wearing. 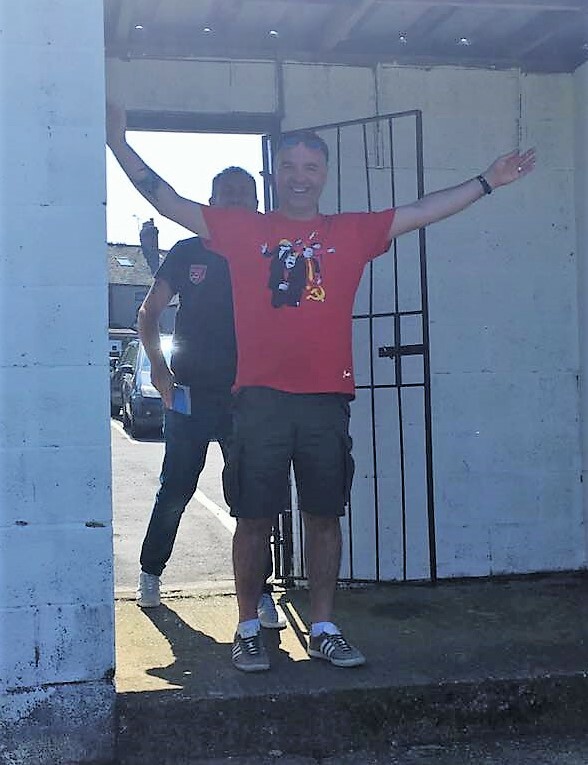 Thanks to the Groundhop UK team for providing us with the opportunity to visit three grounds in one day, each club very friendly, well organised and a credit to the league.